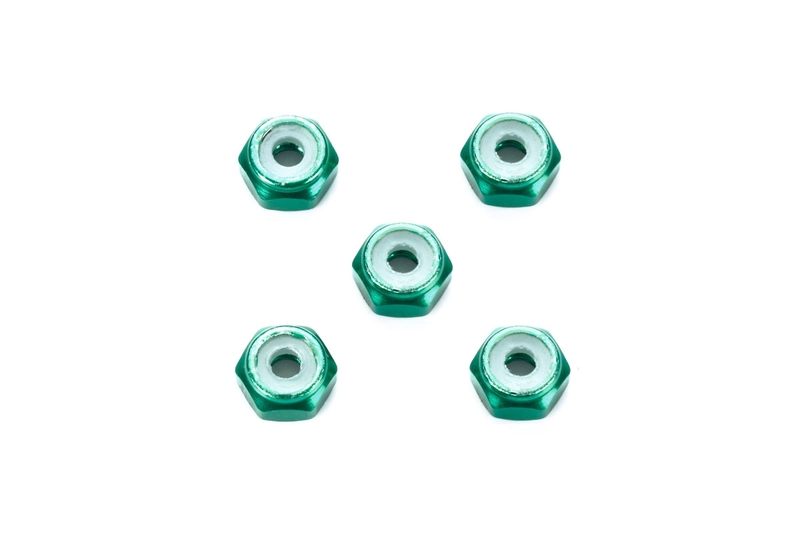 These are 2mm Aluminum Lock Nuts offered in a limited-edition color (Green) and can be used to accessorize your Mini 4WD machine. Lock nuts can be used to fix your rollers and mass dampers securely in place, with the plastic inserts ensuring a tight fit to the relevant parts. Your machine will run hard and reliably without parts coming loose, and still look stylish in green!